So soon Valentine’s Day will be celebrated almost all over the world. Many people want to please their other half and turn this holiday into a real romantic adventure for both! Everything is possible! But if you still do not know how to surprise your sweetheart, we have something for you! 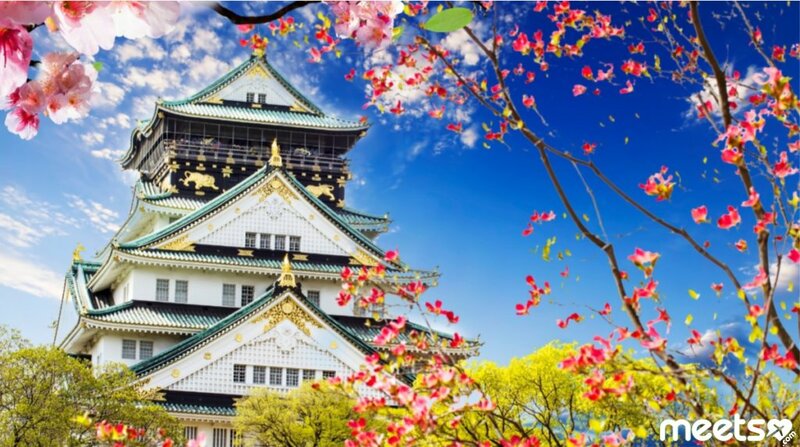 We offer our readers top 3 the most romantic cities in the whole world where you both will have an unforgettable Valentine’s Day. Have fun visiting these countries and enjoying time spent together! 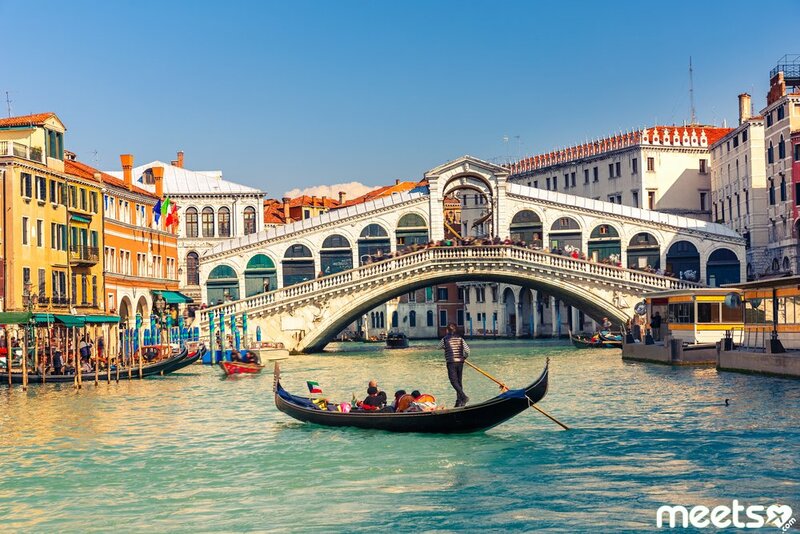 The first city that is suitable for celebrating Valentine’s Day is Venice. Channels, the delightful architecture of this place attracts tourists from all over the world, so there is almost always a lot of people here. At the same time, the city always remains cozy and romantic. The couples who are in love will definitely find what to do here. 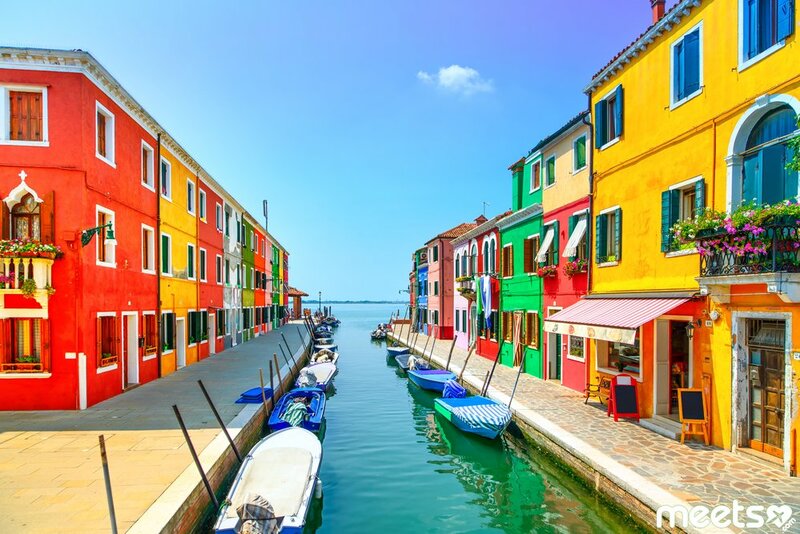 For example, the island-district of Burano is worth visiting. There are dozens of colorful houses there, and the narrow streets are ideal for evening walks. There is a legend that the walls were painted in bright colors so that sailors, after sailing, could easily find their ways home. There is also more ridiculous and unbelievable version that says that the sailors had their foreheads painted in the colors of their dwellings. And when the sailor was drunk to unconsciousness, it was easier to deliver him to his destination. In any case, this place is worth your visit. 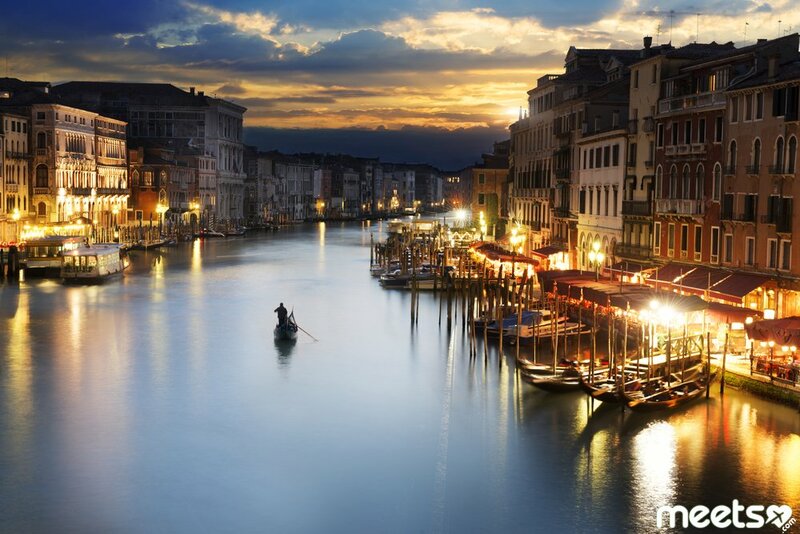 In addition, Venice is multifaceted, it means that there is a hotel or hostel for everyone’s taste here. Prague, like Venice is a tourist city. 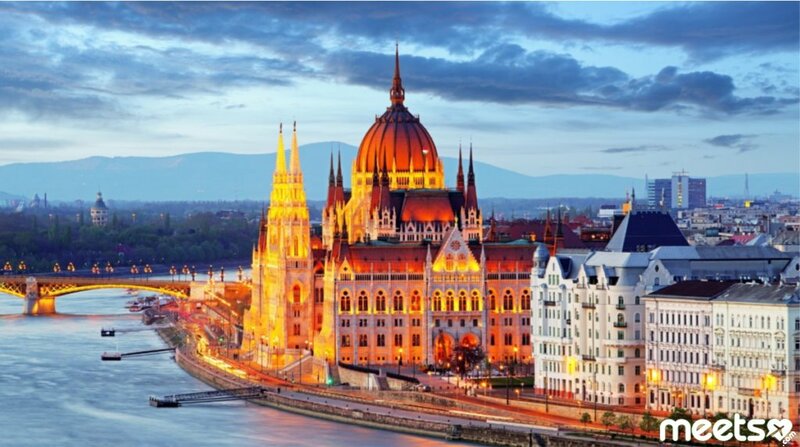 It is the sixth most visited city in Europe after London, Paris, Rome, Madrid and Berlin. 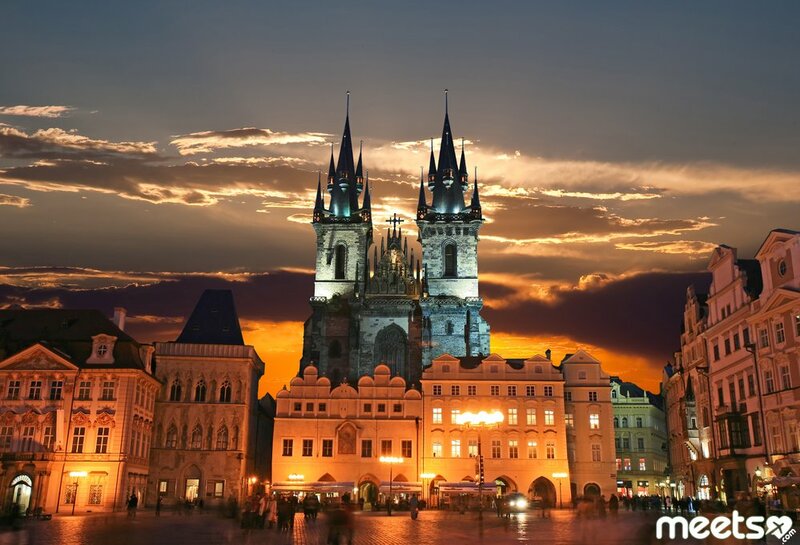 The largest castle complex in the world, Prague Castle, will amaze with its beauty every tourist, and the grace of the local architecture will surprise even the most spoiled traveler. The lovers should come here after sunset as soon as the flow of the tourists decreases, it becomes possible to walk under the light of the stars and the twinkling of lanterns. 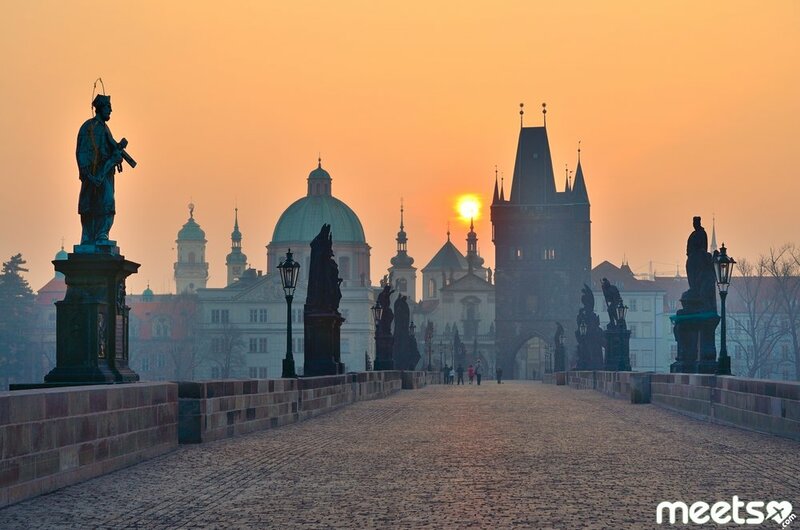 Charles Bridge, connecting Mala Strana with the Old Place, is a true monument of medieval architecture. During the daytime, it is filled with tourists, merchants and artists, but at the dawn and after sunset it is an ideal place for romantic walks. In the depository of the Cathedral of Peter and Paul the relics of the patron saint of all lovers – St. Valentine are stored. 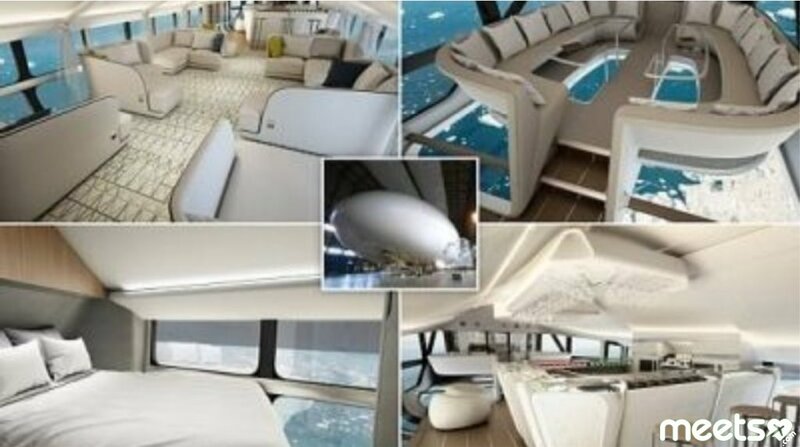 On February 14 and 15, the relic is put on public display. These days, believers traditionally make pilgrimages to Vysehrad. 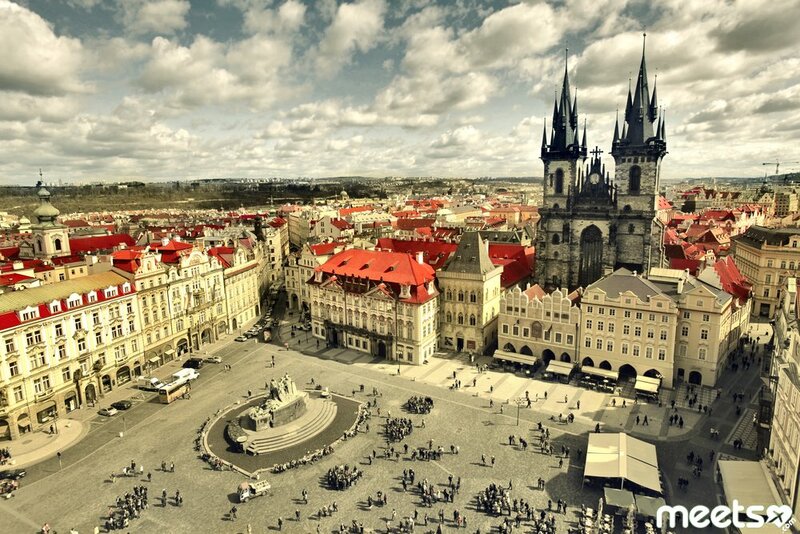 As in Venice, in Prague there is housing to any taste. 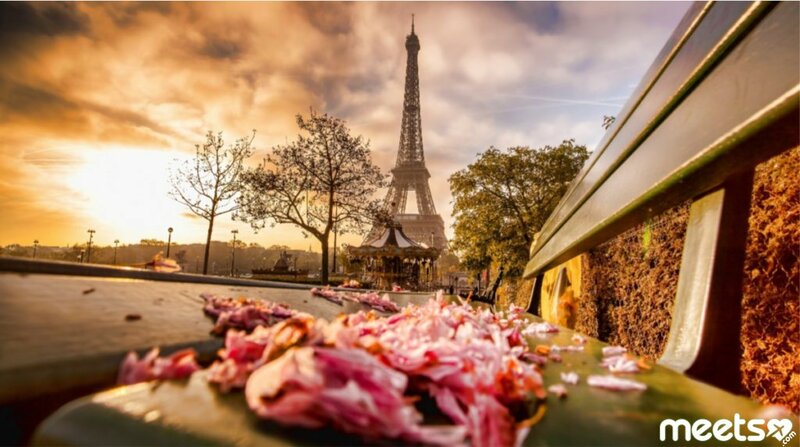 Paris, also known as the city of all lovers, attracts a lit of tourists not only with its majestic architecture, but with a special atmosphere of love and romance. 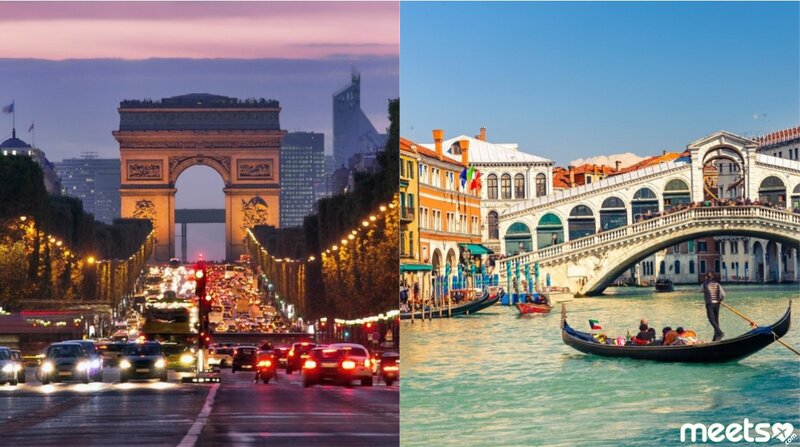 There is a legend that those who once visited Paris will certainly meet the love of the whole life, so those who will celebrate February 14 alone should definitely visit this city. 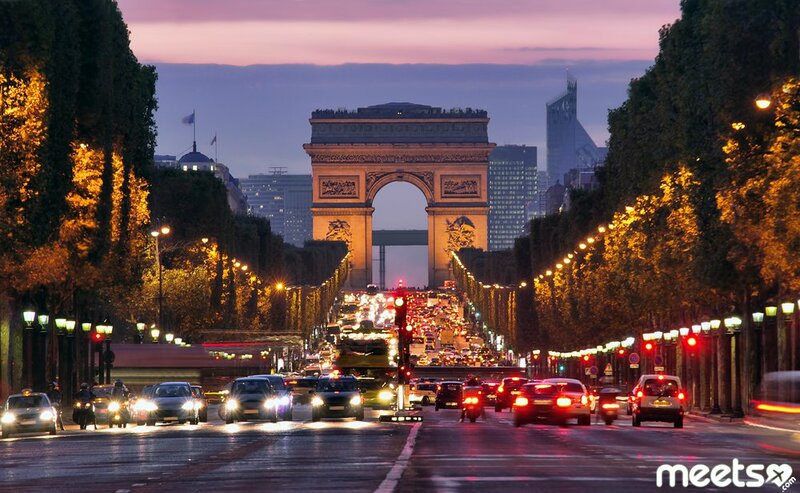 In Paris, there is a huge number of attractions and get around them in one day is impossible. But to enjoy lazy walks and cozy coffee shops is a must-have. And of course you should visit at least a couple of popular places. For example, the Louvre, Alexander Bridge and the Basilica of Sacre Coeur. The Sacré-Cœur Basilica is one of the main temples in France. It was built in memory of the victims of the Franco-Prussian war. 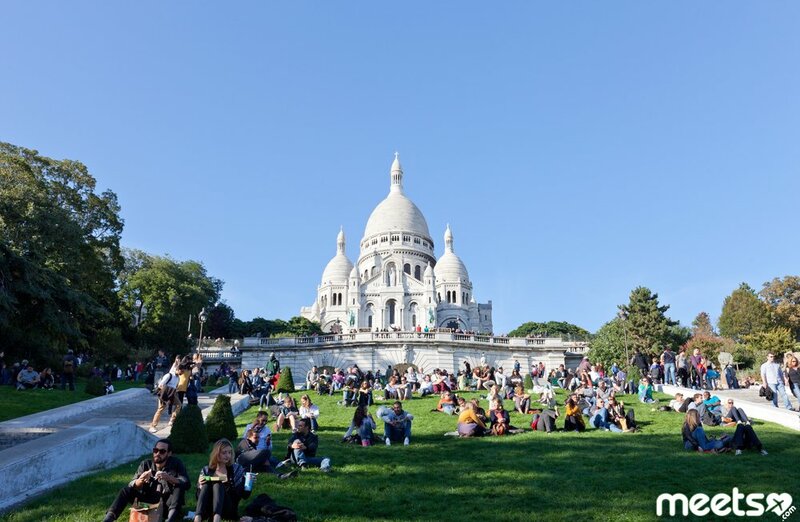 The construction of Sacre-Coeur took more than 40 years. 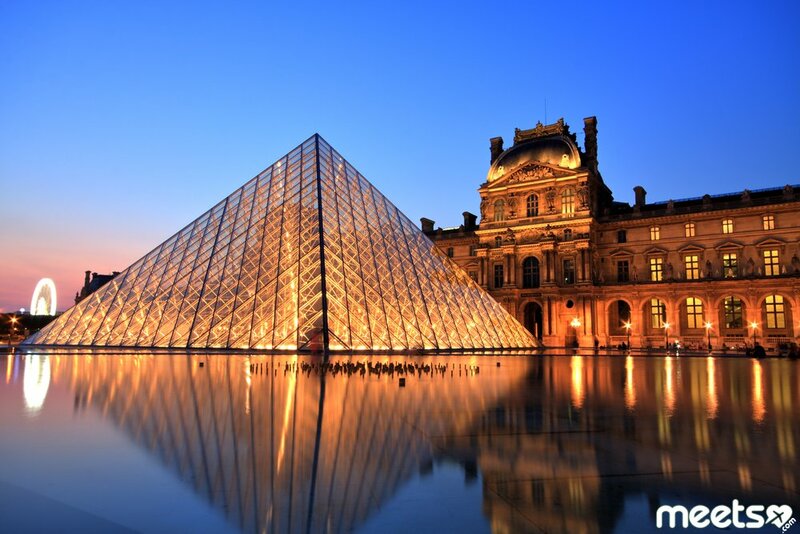 The Louvre is one of the most interesting and controversial places in Paris. 5 floors and 35,000 exhibits, you can see everything here only if you have a full free day. But if you do not have such an opportunity you should go at least for a while and see the world-famous masterpieces. The bridge of Alexander III is by far the most beautiful bridge in Paris. It can be viewed in passing on the way to some other places of interest. An unusual view of the Eiffel Tower opens from this spot too. 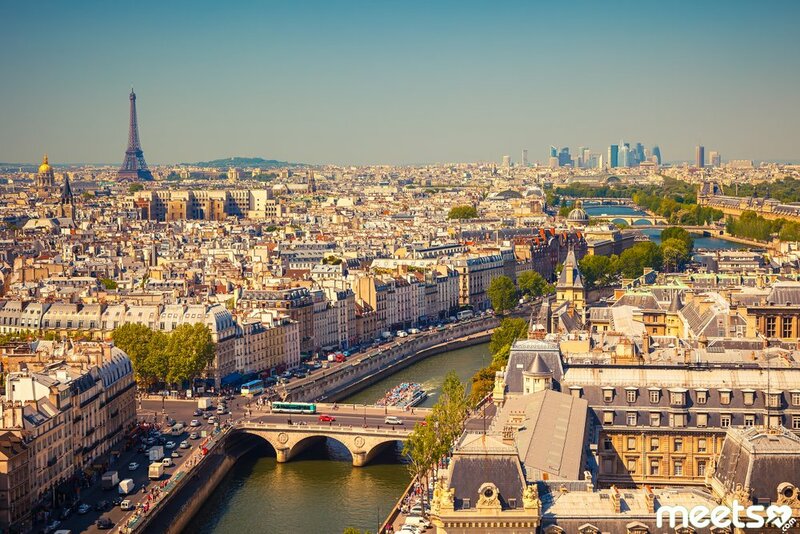 The cost of housing in Paris is higher than in Prague and Venice, but this city is definitely worth all the money spent. Have a great time celebrating Valenine’s Day. Hope this holiday will be full of just positive feelings and emotions! Be happy and never be alone!